Everyday wear and tear as well as sudden injuries from sports and accidents and health conditions such as arthritis and bursitis can all contribute to knee pain. Knee pain is very common, but it is most common in athletes who are prone to injuries and overuse. In addition to pain, sufferers may experience swelling and stiffness that varies from mild to severe. Suffering from knee pain can be devastating. It can get in the way of performing daily tasks at work and home. Depending on the cause and severity of the knee pain, people can choose to undergo various treatments. How knee pain is treated varies depending upon the cause and severity. Mild to moderate knee pain whether due to injury or arthritis can be treated at home. A knee pain home remedy includes applying ice compress and wrapping a tight bandage on the painful and swollen area then elevating the leg. Medications include painkillers, steroids and anti-inflammatory. However, not everyone has the same reactions to drugs, and some won’t find them effective while some have allergic reactions. If medications don’t work and surgery is not an option yet, knee pain injections are the next best treatment. Knee pain injections involve removing excess fluids, and injecting corticosteroids and hyaluronic acid into the knee. Arthrocentesis, or joint aspiration, is the process of removing the excess fluid on the joint to provide relief or to use it for lab tests to determine the cause of pain. Sometimes, doctors may also use the same site to inject corticosteroids to reduce inflammation. Injected corticosteroids have milder side effects than oral corticosteroids; however, constant use may lead to cartilage damage. Hyaluronic acid injection, on the other hand, is the reintroduction of hyaluronic acid, a substance naturally found in the knee that acts as joints lubricant. 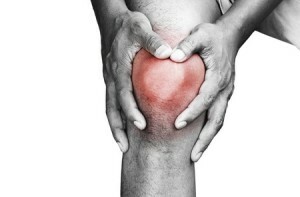 People with osteoarthritis tend to have low hyaluronic acid, one of the reasons why they experience knee pain. Hyaluronic acid injection is the last option before resorting to surgery. If you are seeking knee pain relief in Denver, let Denver Physical Medicine & Rehab help. We treat each patient on a case-by-case basis, and we will work with you to determine the root cause of your knee pain and find a way to alleviate your symptoms and repair the underlying damage. To learn more about knee injections or physical therapy for knee pain, please call 303-757-7280 now.